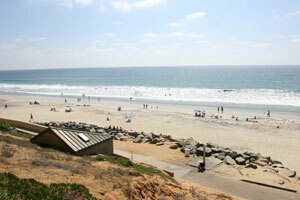 Carlsbad is home to over 100,000 people and is commonly called “The Village by the Sea”. There is a large tourist industry due to the luxury hotel and quaint atmosphere of a city in close proximity to major metropolises of San Diego and Los Angeles without all of the hustle and bustle of the big city. Carlsbad is divided into 4 quadrants each with its own out-of-home advertising opportunities. The Northwest Quadrant includes the Village, the Barrio, and Old Carlsbad. This is the downtown area full of shops and dinning; a perfect atmosphere for high traffic local advertisements. The Northeast Quadrant includes Chestnut Hills. The Southeast Quadrant includes the Carlsbad Unified School District and many golf courses. Lastly, the Southwest Quadrant includes the Aviara neighborhood. The separation of these neighborhoods allows you to focus advertising towards targeting your audience.